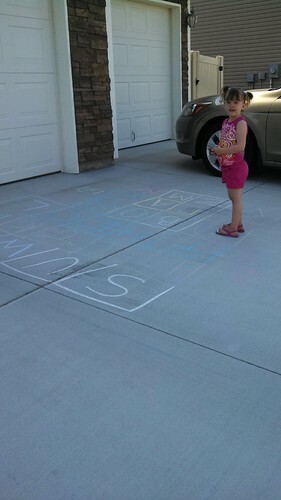 Lil wanted to go outside and “chalk” the other day. I don’t like to touch the chalk unless I have to, but decided to try and sort of recreate an activity I say on Pinterest. 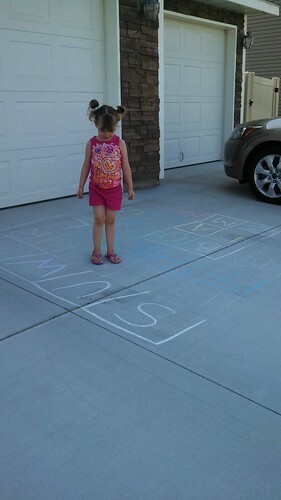 I made a few squares and wrote letters in them and had her jump on the letters. She mentioned a word starting with a letter so I changed up what I was doing. I started saying a word and having her jump on the letter it starts with. 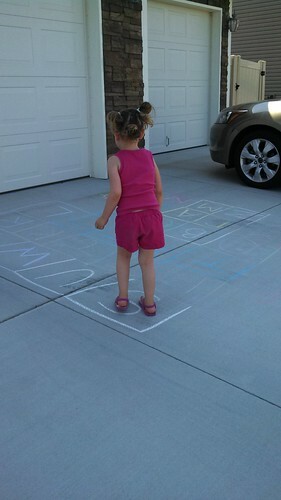 She did great so I added the rest of the alphabet and she continued to do amazing. I was so proud. This entry was posted in Lily, Phone pictures, video and tagged Lil, Phone pictures, video.